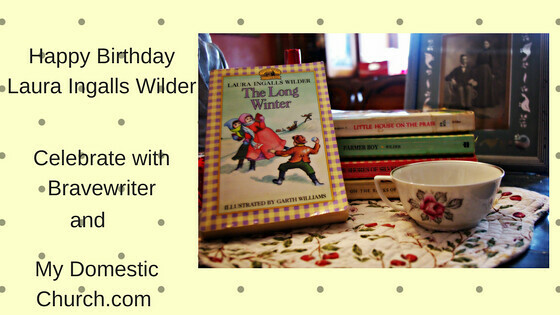 Celebrate the Birth of Laura Ingalls Wilder! Today is Laura Ingalls Wilder's 151st Birthday! To celebrate, Bravewriter is offering the Arrow Guide for the Long Winter, by Laura Ingalls Wilder on sale. Through February 9, the Arrow Guide for The Long Winter is half off. If you've ever wanted to try a Bravewriter literature guide, this is a good time to try. The guide comes with passages suitable for copy work and dictation, punctuation, grammar, literary elements, analysis and wonderful teaching points. Other posts on the Little House Series and Prequels. Banks of Plum Creek Discussion here.